This entry was posted in Business Tip and tagged constant pressure, constant pressure system, contractor, conventional systems, conversation, customer, customer service, education, groundwater, industry insight, professional contractor, sales, well driller by markreeder. Bookmark the permalink. 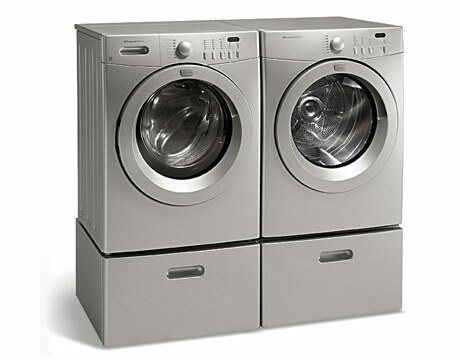 There was a washer/dryer combined machine on the market some years back. I don’t know who manufactured it or why it never became popular. I am most interested in Variable Speed / Constant Pressure. We have two geothermal Pump n Dump units on our well in addtion to the home water supply and am currently doing the research as to see if I can convert our current Franklin 1 HP 240 volt to use constant pressure as I believe it would save wear and tear on the pump, provide a constant flow rate for the geothermal systems and so forth. I think that variable speed/constant pressure is the future for well owners – people just need to do the research and installers/contractors need to learn the science of well systems as there are far too many that do not understand.